For nearly three years The Gathering anthology has afforded nearly 200 comic creators the opportunity to have their work published for the first time. GrayHaven Comics has been dedicated to giving aspiring creators their big break and through fourteen issues of The Gathering have done just that. Along with newcomers to publishing, The Gathering has also featured the works of pros like Sterling Gates, John Jackson Miller, Mike Lapinski, Brent Peeples, Gail Simone and Len Wallace with many more to come. Two and a half years. Fourteen issues. And 200 creators getting a chance to have their work published for the first time alongside some of the best pros in the business. So what’s next for the upstart publisher? GrayHaven Comics has begun to tease their “Phase Two.” Beginning with this week’s launch of the mini series Mothers and Sons, GrayHaven Comics will be aggressively expanding their publishing line. New one shots, mini series and ongoings will begin to roll out over the next few months through New York Comic Con and into 2013. Works will include print collections/continuations of popular webcomics, self contained mini series, an adaptation of a novel, an ongoing and a project featuring a major pro talent novelist/comic writer. With more of GrayHaven’s newcomers becoming seasoned vets and more pro talent looking at GHC as a viable alternative for their publishing needs, 2013 is just the beginning. To order Mothers and Sons or any of The Gathering issues go to http://www.grayhavencomics.com/comics/. The amount of publishers, creators and blogs speaking out about the Stop Online Piracy Act in the comic book industry has been a bit disappointing. Last night we got a few to stand up to the legislation including writers Jonathan Hickman, Jeremy Holt, Len Wallace, Blake Chen, the blog PING! Mother Box PING! and Ashcan Press along with publisher 215 Ink. They put it best in a series of tweets. @graphicpolicy indeed! "Those who would give up essential liberty to purchase a little temporary safety deserve neither liberty nor safety." @graphicpolicy this will not stop "pirates" and only make the internet another corporate controlled medium. @graphicpolicy is there any wonder why the largest media companies have funded it? You can join Graphic Policy and Thwipster with our joint effort Dear Marvel. You can see the full list of those for and against here. GrayHaven Comics has revealed the covers to issues seven and eight of their anthology series The Gathering. Volume 7: Myth has a cover by Kell Smith and debuts at the end of December which also marks the end of the second year of the anthology’s young existence. 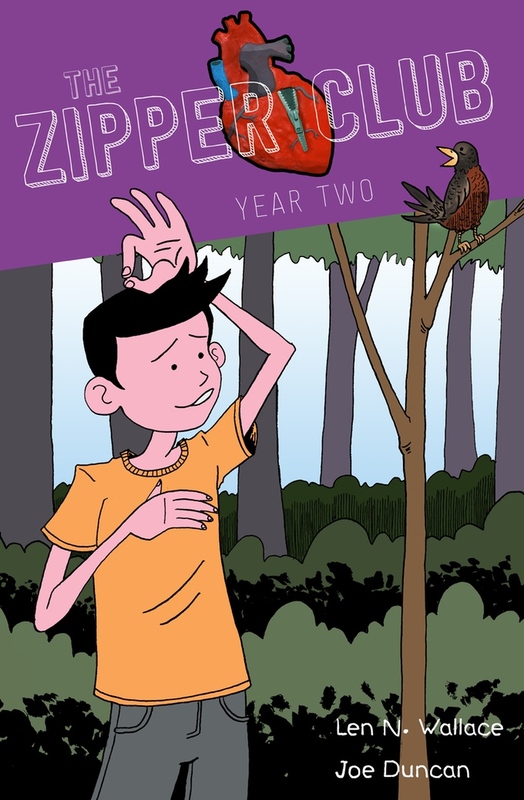 This issue also features the finale to Len Wallace (Love Buzz) and Brenda Lopez‘s first ‘season’ of The Zipper Club. Volume 8: Sci-Fi features a cover by John Coker with Kell Smith debuts in January as The Gathering goes MONTHLY. The book also features a story by John Jackson Miller (Star Wars: Knights of the Old Republic, Knight Errant) and Mike Lapinski (Feeding Ground). As always, I had an amazing time at a comic book convention. While I go to check out the latest releases and the new talent in Artist’s Alley, it’s the friendships I’ve made that makes it worth it (sappy I know). 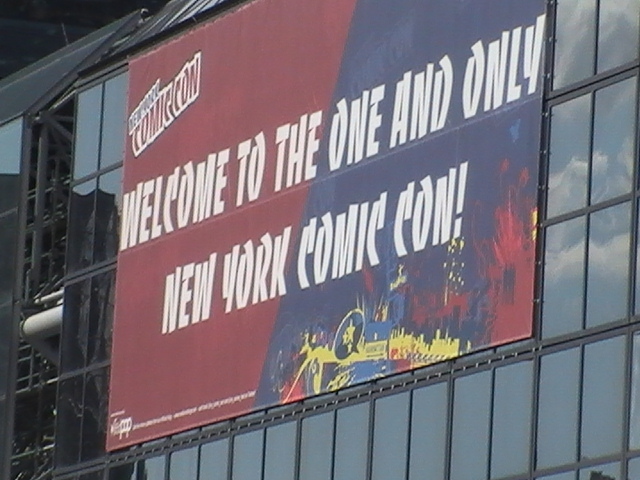 The 2011 New York Comic Con was fantastic and seemed about a quarter to 50% bigger this year than last. While the floor was amazing, the convention rooms were a bit packed and there were quite a few panels I wasn’t able to get into (bummer). Hopefully that gets fixed next year. The people attending were fantastic with great costumes and attitudes that made it fun for everyone. The displays weren’t as impressive, I saw most at San Diego earlier this year. But, I got to see my name on the cover of Archaia‘s Critical Millennium hard cover, I giggled every time I saw it. Always great seeing Charles Soule and Len Wallace (and Jessica), good friends and great talents. I especially had fun sitting behind Charle’s table and selling some of his comics for a bit (27 and Strongman). Also chatting with Drew Gaska as always was fun, some day we’ll figure out a time for a radio interview. Fantastic to hang out with Chip “Cuddles” Mosher and get to know the comiXology crew. They’re an upcoming tech company everyone should be watching. I bumped in BOOM! Studios and Ross Ritchie and some of his team. Such nice folks. The CBLDF deserves your support people! Get involved! I still don’t get anime and manga but the GEN Manga folks were so nice. I got to meet a great talent Palle Schmidt and can’t wait to spotlight him more. So smart and interesting to talk to. He opened my eyes on a few things I’ve covered with a better perspective. The Reed Pop crew do an amazing job putting together shows. Mel and Archaia, Filip and Top Cow are class acts, so happy to see them every show. I got Spidey Mega Blocks! DC had one of the oddest promotions, a light up Kryptonite ice cube to promote Smallville. I grabbed both AKA video games, such a creative promotion. And that’s it for convention season for me…. until 2012. It’s not even 24 hours since the end of 2011’s Baltimore Comic Con which took place near the harbor of Baltimore, Maryland. The convention was packed, seeming to draw record crowds for the weekend. Saturday was wall to wall people making it at times difficult to make it through the crowds. It seems legends like Stan Lee did their job, sparking people to come downtown and check out the convention. Even with the massive crowds, I constantly heard from those exhibiting that sales were down slightly from last year. No matter, you couldn’t help be impressed by the crowds. But, what I like about Baltimore is the focus on comics. It’s one of the few big name shows that keeps it’s focus on it’s roots. You won’t find movie or television celebrities here, but what you will find is writers, illustrators and publishers interacting directly with the fans. This is a perfect show to come to where you can shake hands with legends, get autographs and photos and interact directly with creators. Fans are able to ask directly what they’re working on and you can often find the greats hanging out during and after the show, completely approachable. I might be a blogger, but I’m a fan first, and it’s such a fun time to talk comics with those who are involved creating them. It’s often eye opening and you learn a ton. But, the show isn’t all dealers, publishers and artist alley. There’s also a decent selection of panels where you can catch some industry titans talking about history or what’s coming up. There were a few bumps this year, but after sitting through Saturday’s spotlight with Shannon Wheeler, I’ve made a promise myself to attend more panels at future shows. It’s entertaining and you get stories you’ll hear nowhere else. I also had the pleasure of moderating the BOOM! 6th Anniversary Panel with BOOM! Studios founder and CEO Ross Ritchie. 1) being on panels are fun; 2) I really need to get better at it; 3) I learned a hell of a lot. You also get to see so much you won’t necessarily find at your local shop. Small publishers, self-publishers line places like Artist Alley. You also get to find new ways people are telling stories. This show Heretic City stood out to me. It’s not the traditional comic book, instead, it tells a graphic story through t-shirts. A great idea and very unique. It shows graphic story telling can happen outside of the traditional panel format. But, in the end, for some one like me it’s all about catching up with old friends and making new ones. Here’s the rundown. Len Wallace and Jessica – always great hanging out with you two. I think we’ll have to make Saturday dinner a tradition. Look forward to seeing you both at NYCC. The Top Cow crew – Atom! and Filip – always great catching up, and hope to hang at at NYCC. Top Cow has a special place as the first company we really covered and I look forward to continue to support them. Great guys, great product, great attitude. Ron Marz – I promise to get you the script – folks, one of the nicest people you’ll meet at a con, great with the fans. Drew Gaska – a true talent and awesome guy. Love his writing and ideas and so happy the person behind them is so smart, fun and friendly. The Kill Shakespeare guys – Anthony and Conor, so talented and I can’t wait to see what they have coming up. You want to watch a great pitch and interaction with fans, go see them at cons. You can’t help but dig Shakespeare after. The BOOM! Studios crew – Ross and Chip, always fun. Let me know when I can moderate another panel… The product is fun and quality, they’ve got a great attitude, it’s no wonder I’m looking forward to shining the spotlight on them more and more. ComiXology – Taking five minutes talking to this team and you can’t help be excited about the future of digital comics. John and the team are brilliant and will win you over on the digital medium. Shannon Wheeler – the creator of Too Much Coffee Man is a legend, and hilarious. If he’s on a panel, go see it. Denis Kitchen – All I want to do now is sit this industry legend down and just film him talking. Amazing stories. CBLDF – I finally connected with the CBLDF team and look forward to helping support them more and more in the future. Chandra Free – the writer and artist of The God Machine is so talented and being able to watch her sketch is amazing. It just solidifies my opinion of her talent. PLB Comics – a small publishing company, their book The Fall is a great read. They’re also very friendly in person and I’m feeling really good after meeting them to support their efforts. Joshua Hale Fialkov – the writer of Echoes and Tumor is a talent and his upcoming book The Last of the Greats is just as solid. We were early supporters of his, and so happy to continue to do so. I loved Rahsan Ekedal art on Echoes and was so happy to meet him at the show as well. You better believe I’ll be picking up some of his original work at NYCC. There’s also a bunch of indie books I picked up and you better believe I’ll be letting you know my thoughts in future reviews. Next up is SPX in two weeks! We’ll have some longer recaps of some of the DC and Marvel panels, but here’s our general impression and shout outs from the 2010 New York Comic Con. Thank you to both the folks at Top Cow and Archaia, both are top notch operations with great staff. Glad to see everyone again and check off some more tweeps I’ve wanted to meet. Also to meet some fellow DFH’ers. Jim Lee is a hell of an entertaining break dancer. And speaking of DC, nice to meet some of their great staff. It seems writers and artists do pay attention to our reviews. Kind of cool to be able to chat with folks in person. Do NY geeks understand hygiene? There was a lack of nerd odor. Zombies are definitely in. The stake his been driven through the heart of vampires. I still don’t get anime culture and it’s references. Remember to wear sneakers next time. Comfort over fashion. Artist Alley had a lot of talent, but not a whole lot really jumped out at me (I’m usually overwhelmed). But we’ve got a few things. Great to see Len Wallace again (check out Love Buzz!) and Jessica and wish I was able to hang out more with them. Special thanks and props to Charles Soule, a talent to watch out for. Pick up 27 when it comes out, it’s going to be awesome. Folks seem to dig my graphic novel idea, a great motivator to get it finished.